Humla, bygg og maltþykkni ætlað í 25 lítra. Svartur bjór, líkist Guinnes. 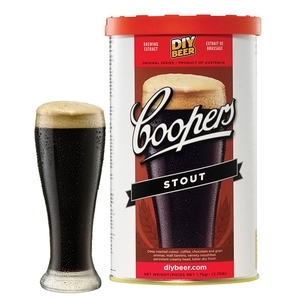 Dark brown colour with a persistent head resembling espresso creamer, a blend of coffee, chocolate and grain aromas, exceptional mouth feel and dark malt characteristics, the combination of malt tannins and hop bitterness results in a dry finish. Can be consumed young or cellared for a number of years with excellent results.